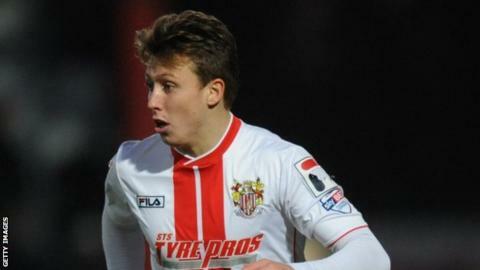 Relegated Stevenage have triggered a 12-month contract extension for forward Luke Freeman. The 22-year-old, who played 54 times as Boro finished bottom of League One, was almost sold in January amid interest from Championship sides. The former Arsenal youngster finished the season with eight goals and was set to be out of contract in the summer. Utility player Roarie Deacon and midfielder Dean Parrett, both 22, have also been handed 12-month extensions. Deacon featured 27 times in the 2013-14 campaign, while Parrett's season was cut short in March by a knee injury, having joined from Tottenham in October. Meanwhile, Filipe Morais, Luke Jones, Peter Hartley, Simon Heslop and Sam Wedgbury have all been released. They follow striker Marcus Haber out of Broadhall Way, as boss Graham Westley begins to rebuild his squad for life in League Two.